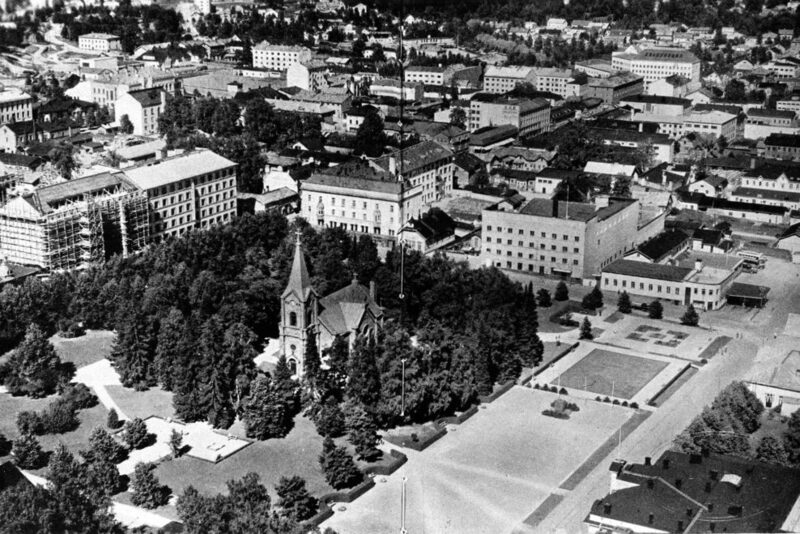 In 1925, the Defence Corps district of Jyväskylä decided to erect a new set of headquarters. 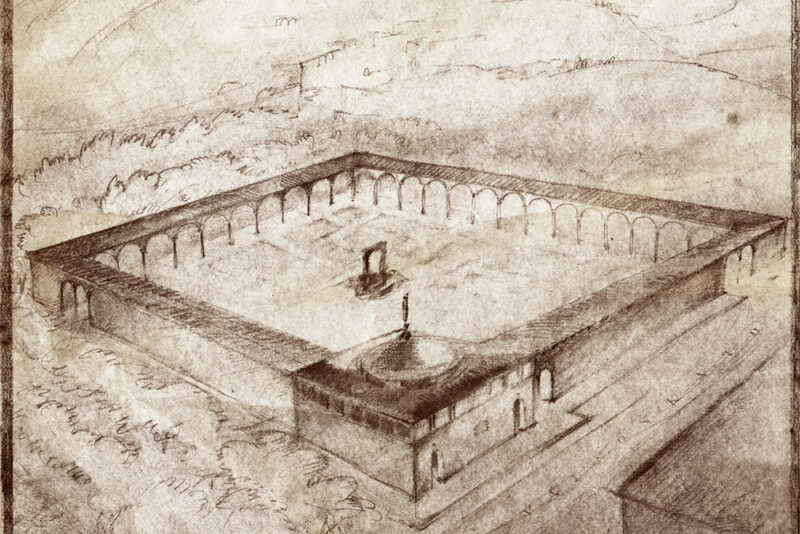 Ambitious as this venture was, an open architectural competition was arranged. 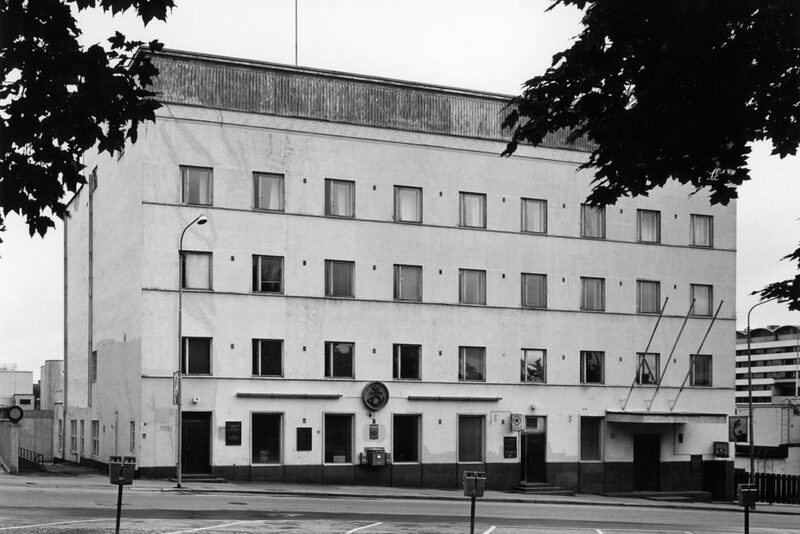 Young Alvar Aalto won second prize with his proposal “Intra Muros”, and in the end the committee decided to construct the building according Aalto´s proposal. 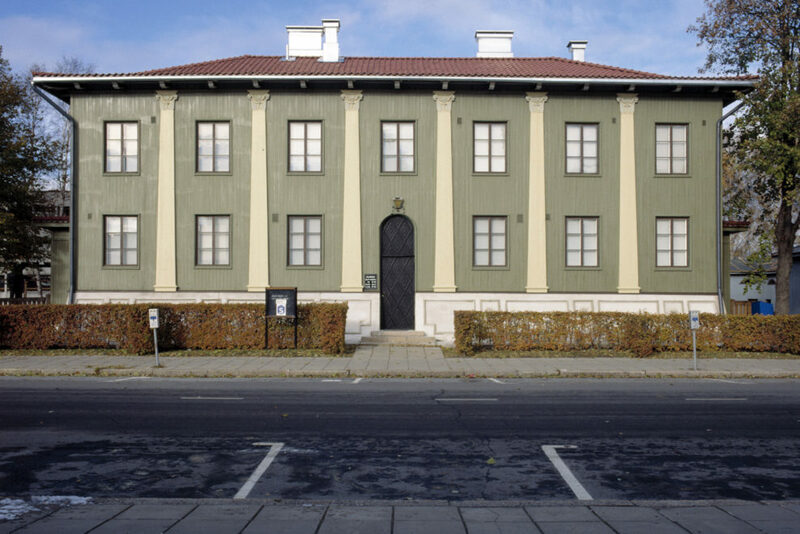 Aalto´s plan is infused with the spirit of Nordic neo-classicism, the popular style of the day, although most of the ornamental details in the facades were dropped in the later stages of construction. The street facade decoration focused on the cornice and portal. 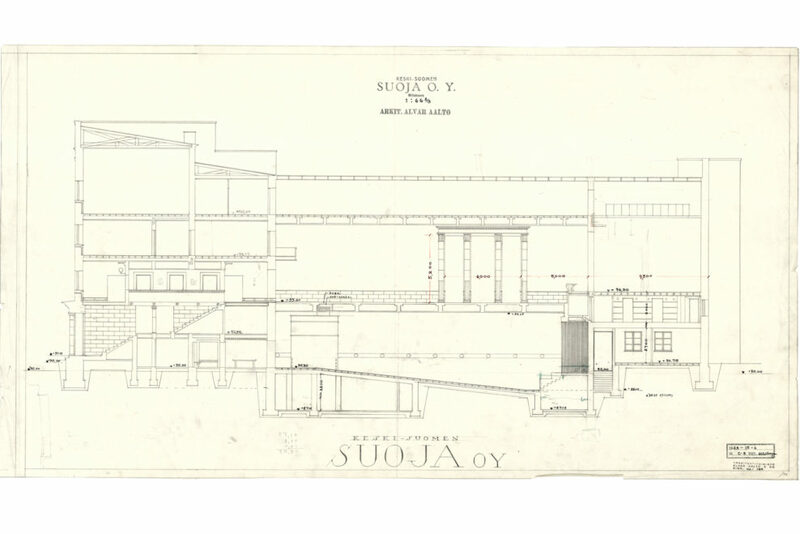 Completed in 1929, Aalto´s plan turned out to be a multi-purpose building in the true sense of the word, its layout dictated by the needs of its various occupants, the aim being to draw profit by leasing the commercial premises in the complex. 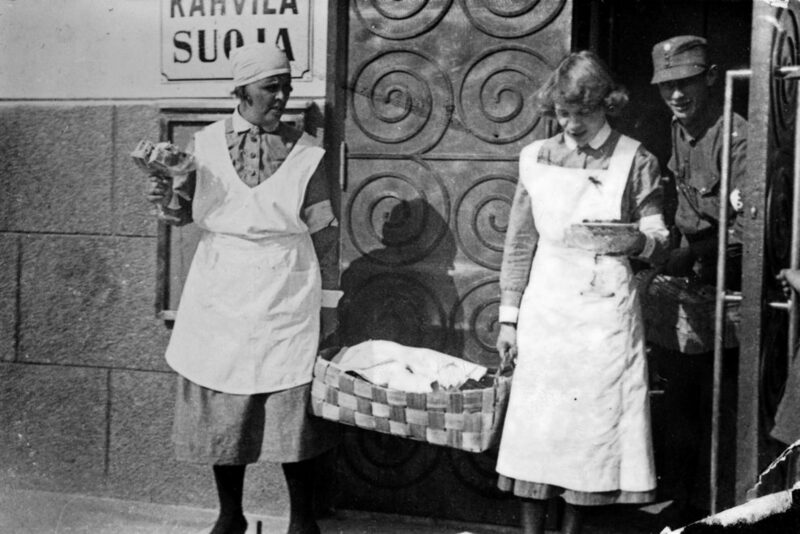 On the ground floor there was a cinema, a set of kitchens serving the restaurants upstairs, and the first indoor market built in Jyväskylä. 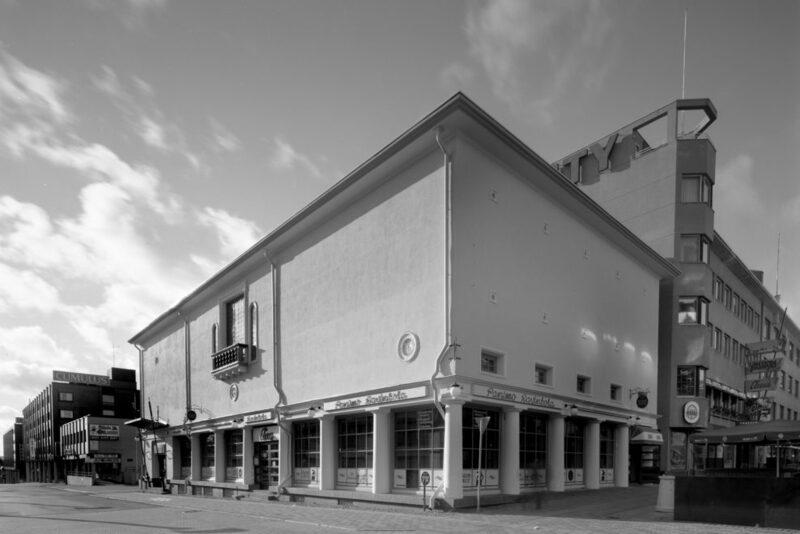 On the first floor there was a theatre / assembly hall, dubbed “sala azurra” (Blue Hall) by Aalto, along with the restaurant and adjoining open terrace, plus the premises of the Jyväskylä Savings Bank. 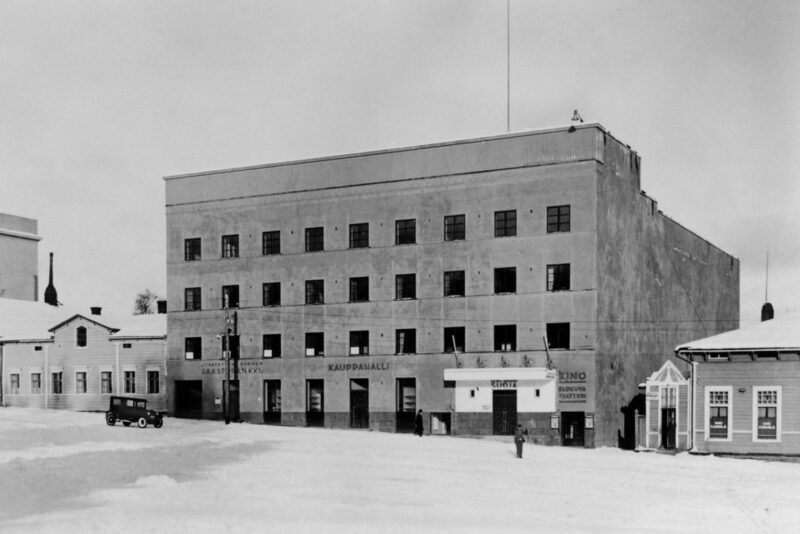 The second and third floor housed various facilities for the Defence Corps and the Women´s Defence Auxiliary. 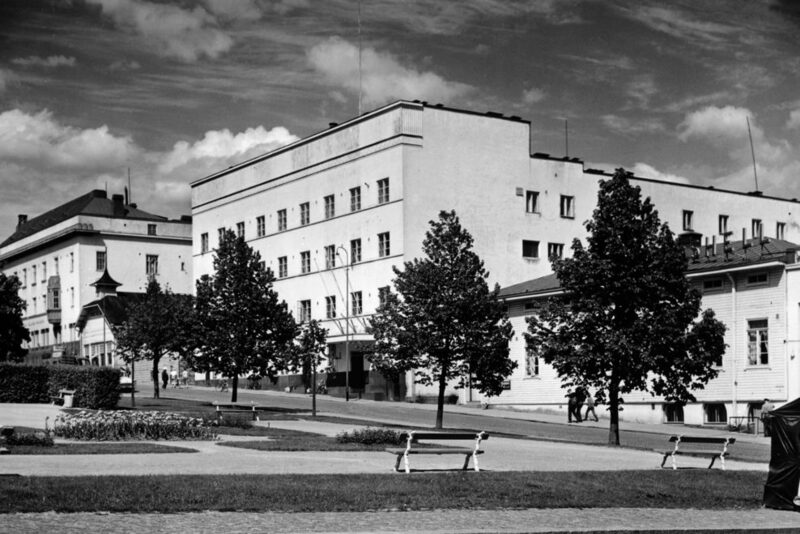 The Jyväskylä Defence Corps building marks Aalto´s move towards a modernist architectural idiom. 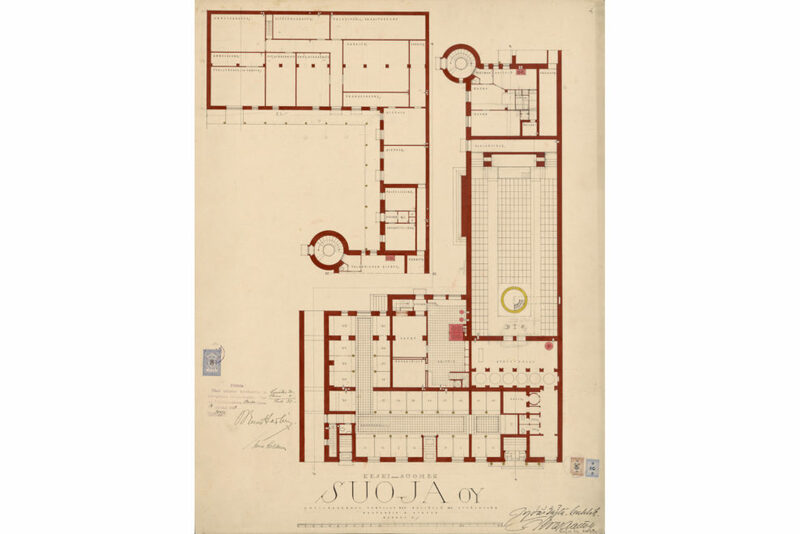 In the floor plan, he dispensed with the rigid symmetry of neo-classicism in favour of a more flexible approach to the functional layout of the interiors. 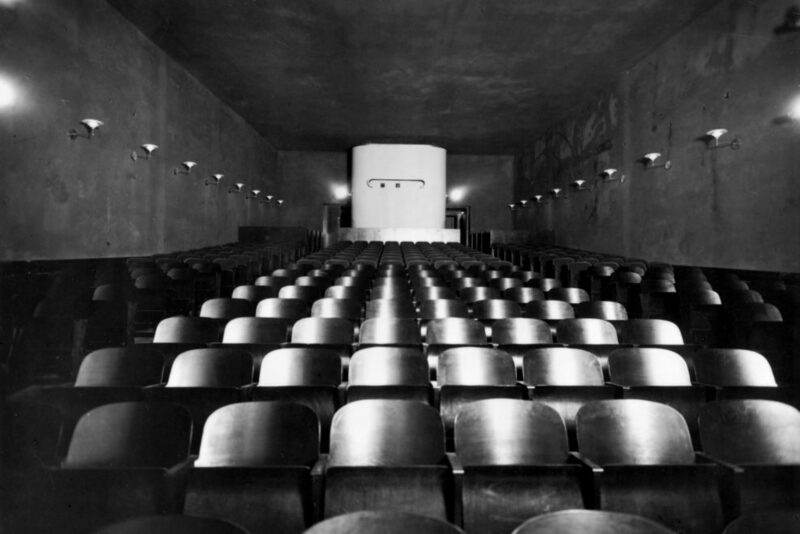 The interiors were rational in design: The shiny nickel, opal glass, and the Bauhaus-inspired lettering in the market hall heralds Aalto´s future preferences in materials. 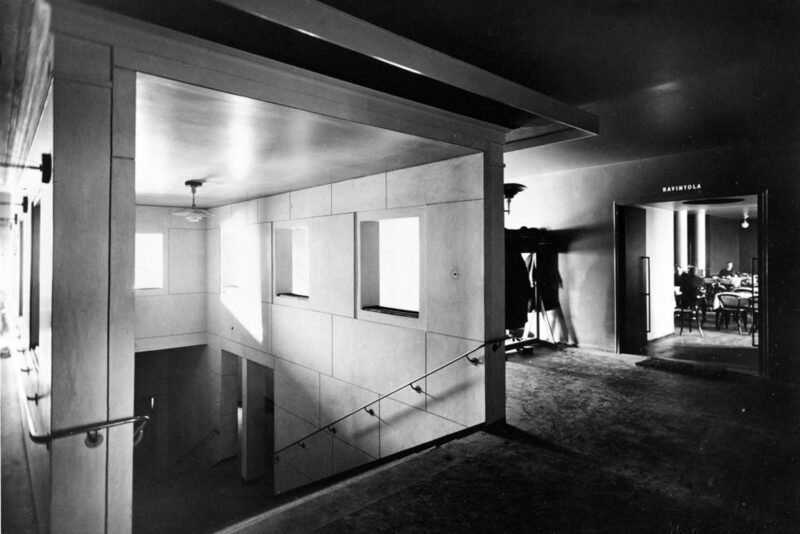 The standard lamps hung throughout the public premises in the complex, designed by Danish Poul Henningsen, can be regarded a major source for inspiration for Aalto´s later lamp designs. 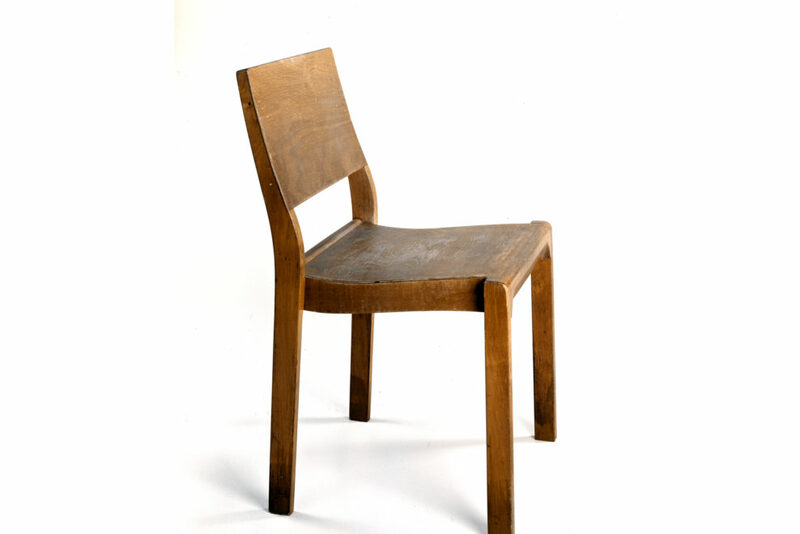 The assembly hall was the first interior to feature Aalto´s stackable row chair. The building became Government property in 1934 and has since then gone by the name Valtiontalo (“State House”). 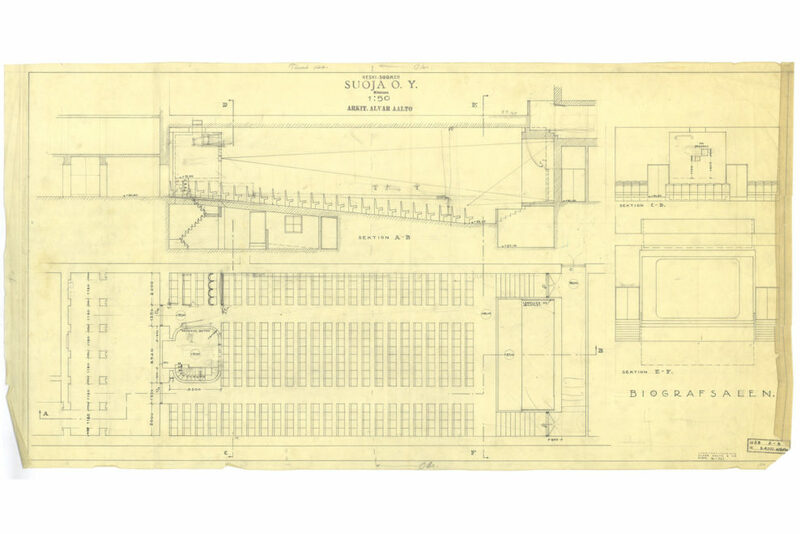 The building has undergone repeated conversions, and very little of the original layout survives.